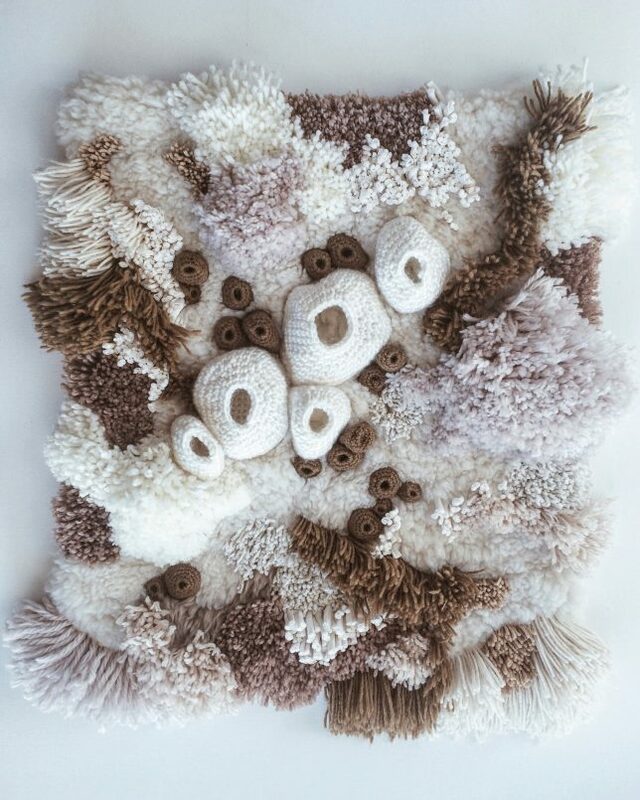 These designs convey all of the diverse wonder of coral reefs without having to walk along an actual sea floor (and presumably slice open a foot in the process. 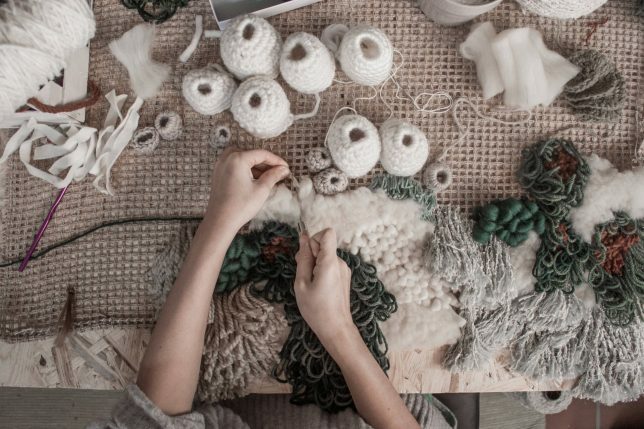 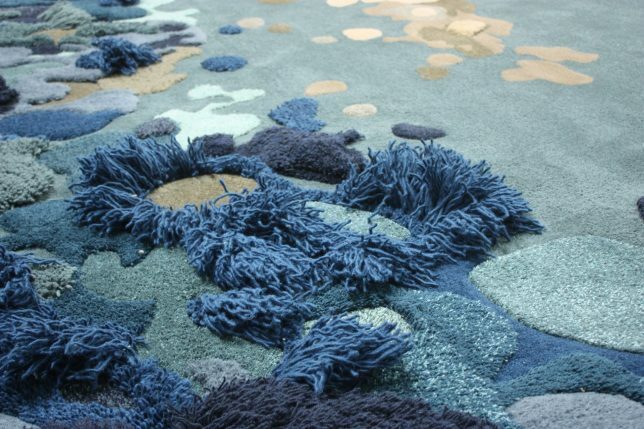 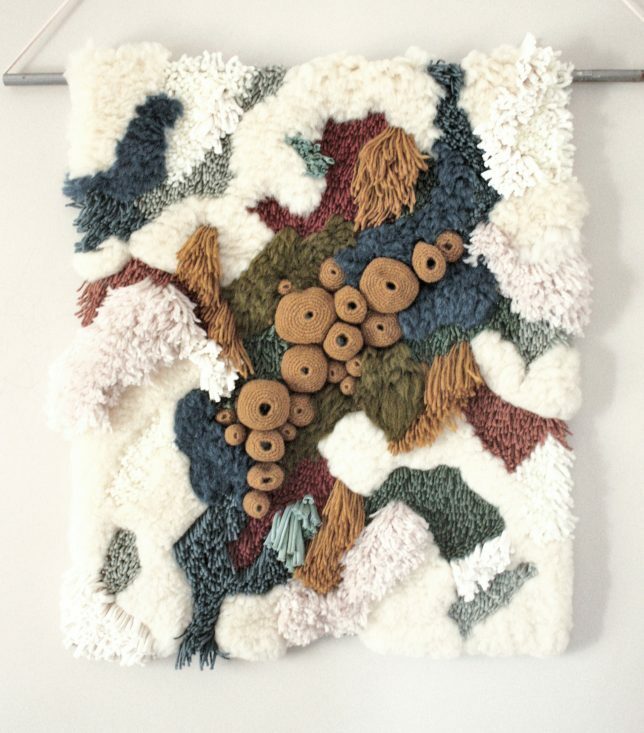 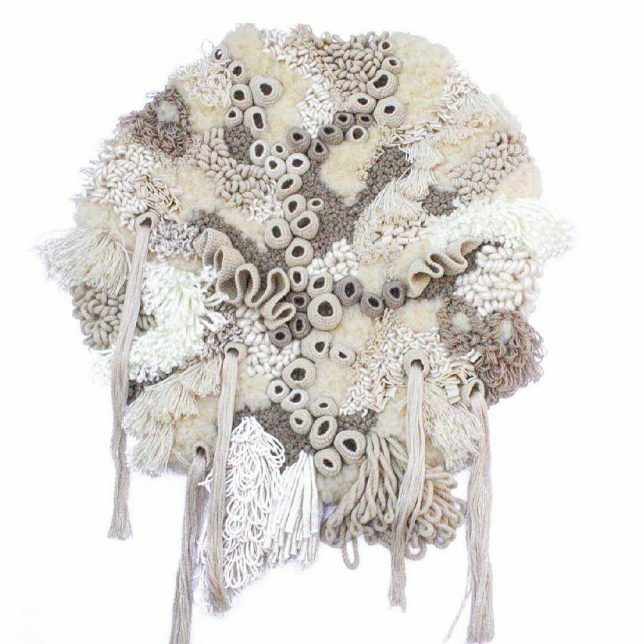 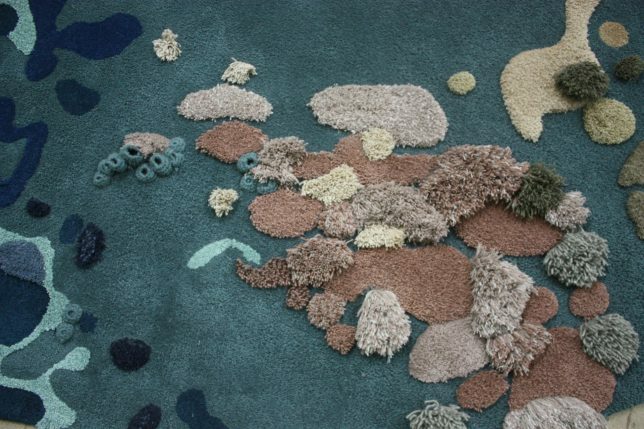 Porto-based Portuguese textile artist Vanessa Barragão crochets, weaves and latch-hooks her textiles with inspiration from coral, algae and fungi, often from exotic, remote and underwater environments. 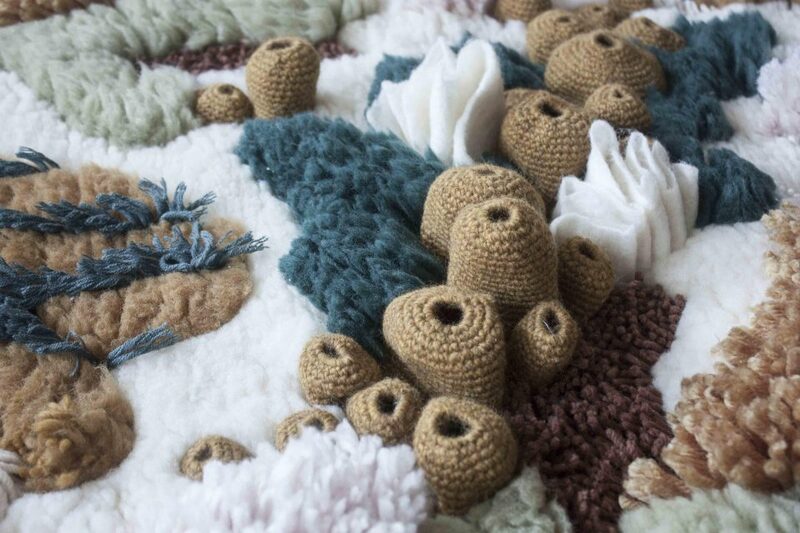 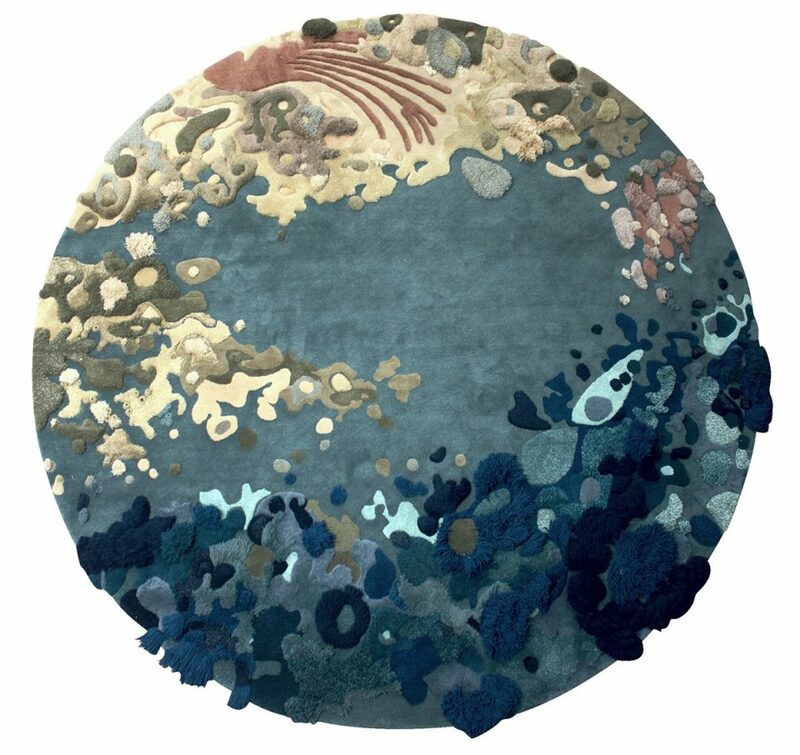 Her works range from entire round Earths (and other abstracted planetoids) to small ecosystems constructed at 1-to-1 scale, creating a sense of visual realism without compromising creature comforts.